Question: In Gītā’s Chapter 11 Krishna shows Arjuna his universal form. Does this set a benchmark? Because many people claim themselves to be GOD. If someone poses as such, can we request him to show this universal form? Even if that guy says that, “I am showing but you are not able to see,” we can request him to grant us Divya Caksu [divine sight] as Krishna gave to Arjuna. So, can this be also one of the reasons for Chapter 11, that no one in the future claim oneself to be God? No. This is not a good benchmark. This is not the purpose of Chapter 11. In 10.13 Arjuna already give the fundamental reason believes Krishna to be an avatāra: because Vyāsa and other realized sages described him as such. Not every bonafide incarnation of Viṣṇu displays the universal form. God reserves the right not to disclose himself (“nāhaṁ prakāśa sarvasya”), so even if you were to approach a real incarnation of God and make these demands, you might validly be denied. The primary avatāra of Viṣṇu are listed in the third chapter of Bhāgavatam’s first canto. The secondary avatāra are limitless, the tertiary incarnations are literally everyone and everything. Really, it is not very important at all if someone is or is not an avatāra of Viṣṇu, what is important is what they say and do. For example, Gautama Buddha was certainly an avatāra of Viṣṇu listed in the Bhāgavatam, but, aside from his philosophy of ahiṁsa, no follower of Vedic culture accepts his teachings, because they are not founded on the Veda. So what is more important than being an avatāra or not is whether or not someone truly does understand, realize, practice, and teach the knowledge in the Veda. It is not very important at all if someone is or is not an avatāra. What is important is whether or not they truly understand, realize, practice, and teach the knowledge in the Veda. Previous Is Bhakti Dormant in Us? 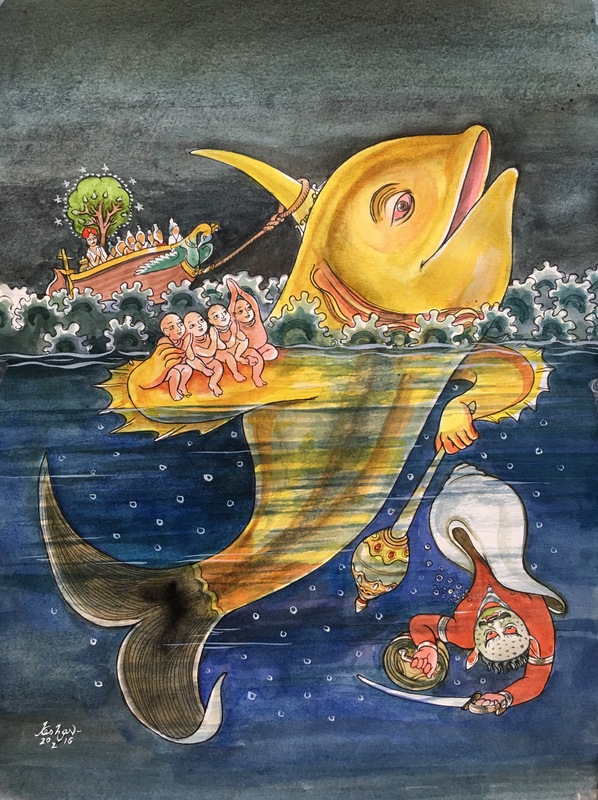 Liked the article, in love with the Matsya pic.